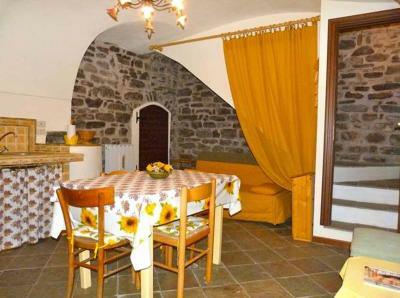 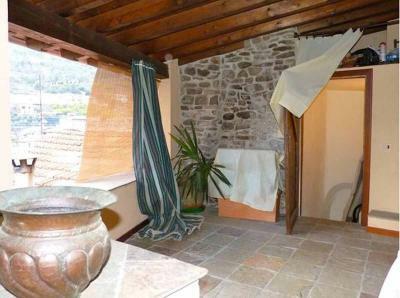 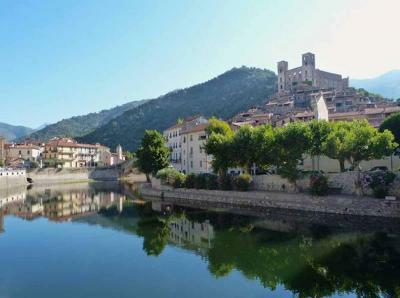 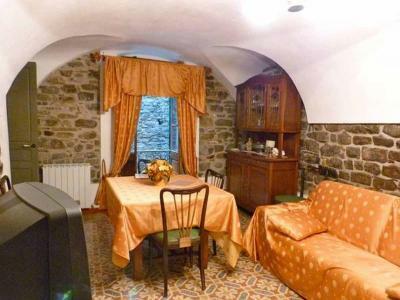 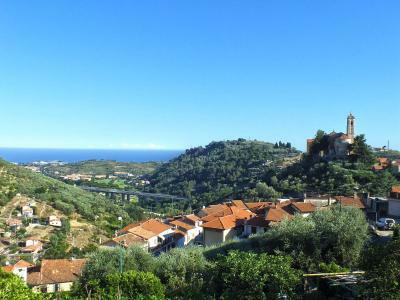 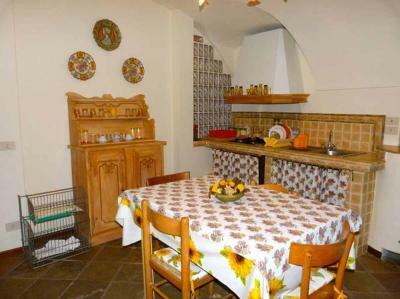 Dolceacqua typical Ligurian townhouse for Sale. 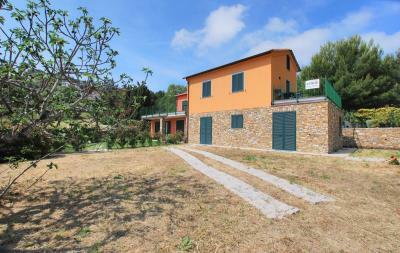 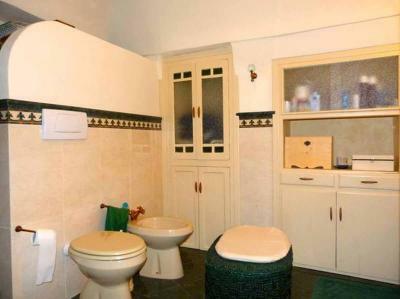 Easily accessible from the Piazza and the nearest parking facilities. This townhouse for Sale in Dolceacqua is set over three floors and offers a spacious living room with open kitchen, four bedrooms one of which is a passage-room, two bathrooms, one storage room and a roof covered terrace of 24 sq.m. 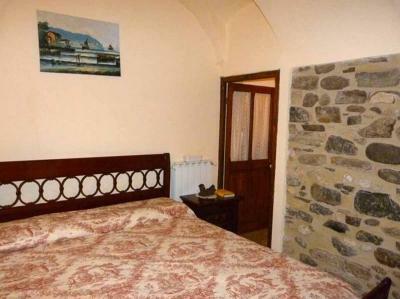 with beautiful views over the village and the surrounding mountain ridges. 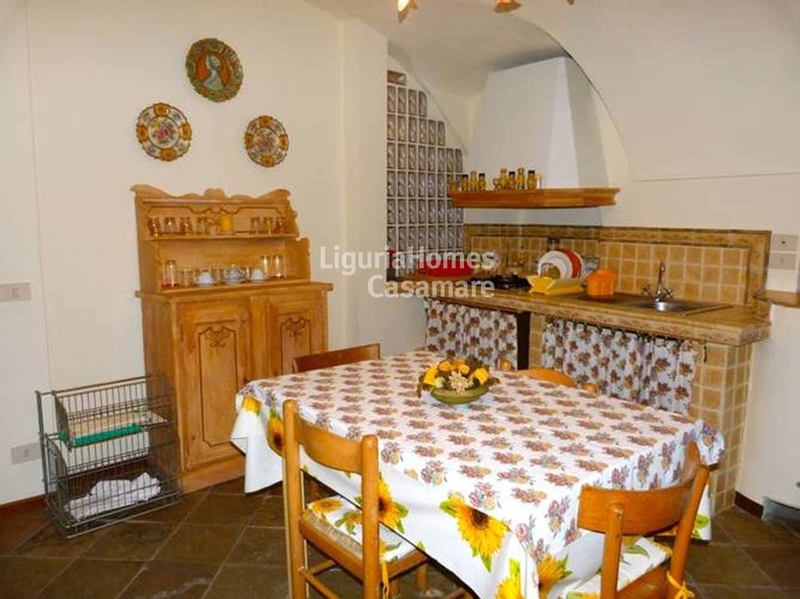 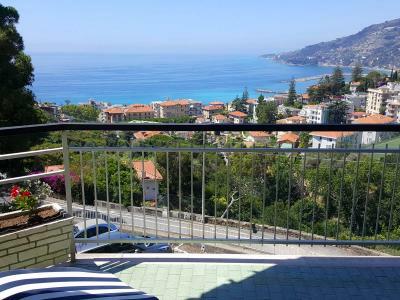 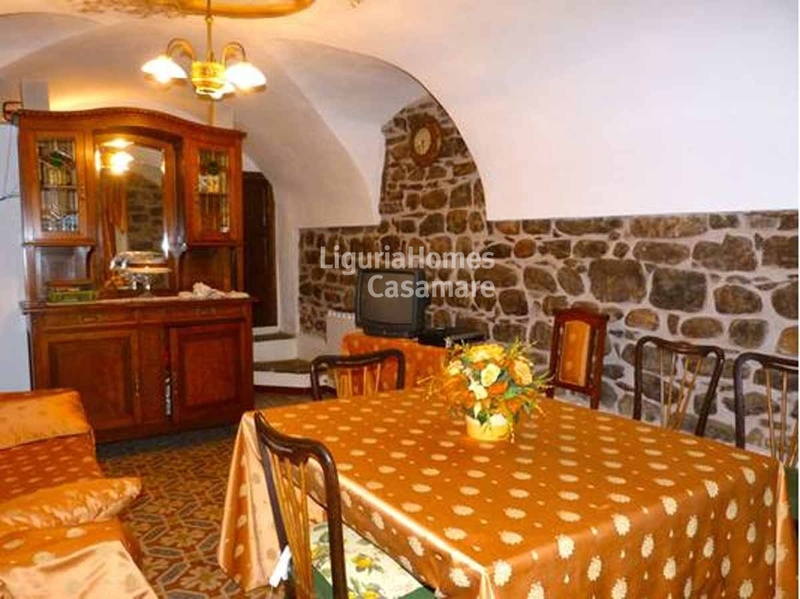 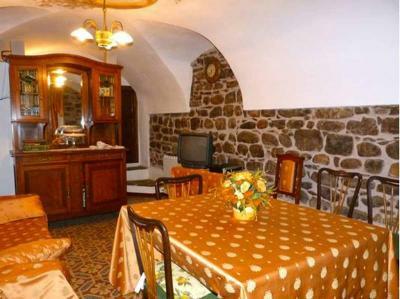 The townhouse for Sale in Dolceaqua was renovated in 2003 and due to the overall layout of the rooms and the two way access to the staircase, it would be possible to split it into two units.